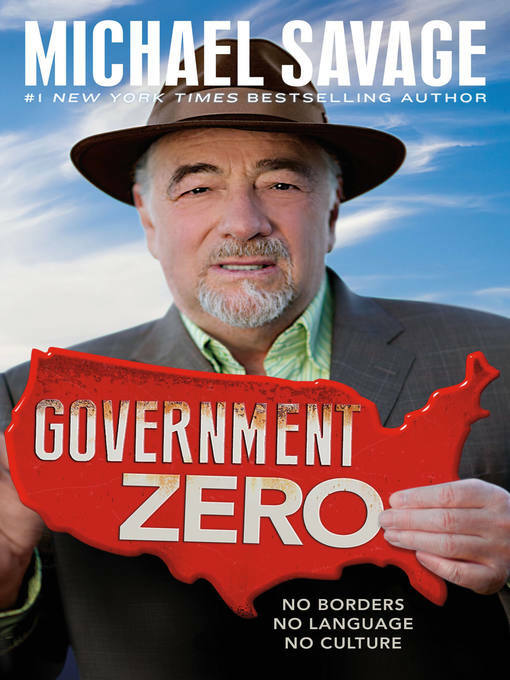 From bestselling author of Stop the Coming Civil War, Michael Savage reveals the massive dangers currently leading to the demise of our government. Michael Savage has been warning Americans for decades and now it's here. In GOVERNMENT ZERO: No Borders, No Language, No Culture, Savage sounds the alarm about how progressives and radical Islamists are each unwittingly working towards similar ends: to destroy Western Civilization and remake it in their own respective images. These two dark forces are transforming our once-free republic into a socialist, Third World dictatorship ruled by Government Zero: absolute government and zero representation. Combining in-depth analysis with biting commentary, Savage cuts through mainstream media propaganda to reveal an all-out attack on our borders, language and culture by progressive travelers who have hijacked public policy from national defense to immigration to public education. Find out everything you need to know about this terrifying agenda to weaken the U.S. military, cripple the American economy, subvert basic American liberties such as freedom of speech, and destroy the international world order. There is no time to lose. The Progressive-Islamist agenda has advanced into every public space, from the White House to the military to your local public school. If America is to survive, it has to be stopped. Michael Savage has a plan. Get the inside story before it's too late.